Earlier this month, the Samsung Galaxy J3 (2017), Samsung Galaxy J5 (2017) and Samsung Galaxy J7 (2017) were unveiled in Europe. 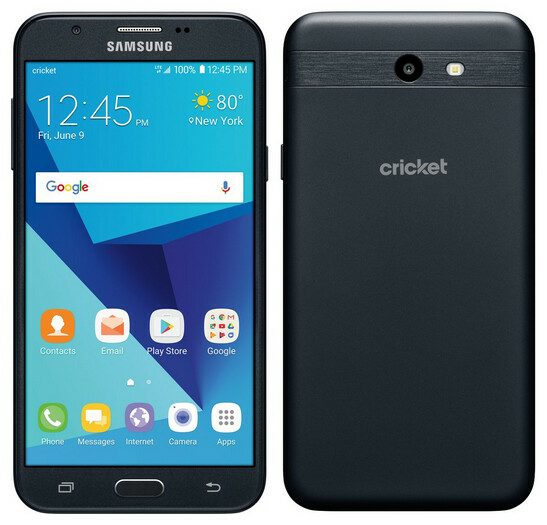 The latter model is coming to Cricket Wireless in the U.S. as the Samsung Galaxy Halo. An image of both the front and back of the device was disseminated today via a tweet sent out by reliable tipster Evan Blass. 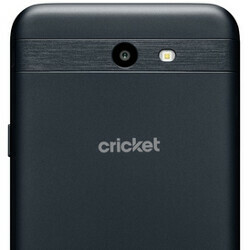 The image shows the back of the phone branded with the Cricket logo. The Galaxy Halo is equipped with a 5.5-inch display carrying a 1080 x 1920 (FHD) resolution. The Galaxy J7 (2017) is powered by an Exynos 7870 SoC featuring an octa-core 1.6GHz CPU, although we don't know yet if a different chipset will be inside the Galaxy Halo. 3GB of RAM is included along with 16GB of native storage. The back and front-facing cameras both weigh in at 13MP, and a 3600mAh battery keeps the lights on. We don't know when the Samsung Galaxy Halo will be available at Cricket, but we are sure that the pre-paid carrier will let us know when the device will be available for Cricket customers to buy. And of course, we will pass that information on to you as soon as we get it. No need to thank us, it is just who we are. What the 5hit is up with the only 16gb? Doesn't this look like 2016 j7? I thought 2017 had that stylish indentation on the top of the back? I don't know who wrote these specs, but there are many wrong. The rear camera is 8 MP and the front is 5 MP. The screen is a 1280x720, only HD, not FHD, and the technology is TFT. Also, the phone only has 2GB of RAM. All of these are the CORRECT specs coming directly from Samsung's official site.